It is replaced by the Seiko SLP 650SE. 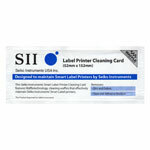 The Seiko-Instruments SLP 450 printer makes it easy to create and print professional looking labels, quickly, one at a time, without the hassle of standard printers. Create customized formats with your own company logo, mix and match fonts, add graphics or a post office approved bar code. Also SmartCopy eliminates retyping. 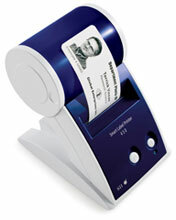 With the click of your mouse you can capture an address from many Windows or Mac applications.